The Information here is pulled from a variety of quality sources and also based on my own clinical experience. There is not necessarily ONE way to treat anything and opinion will vary. I hope this helps you understand tendons and gives you some treatment guidance. Like what you like ignore what you don’t ! 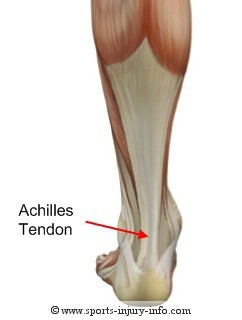 Tendons join muscles to bone ( see example of the Achilles tendon). They are usually white-ish as they are relatively poorly supplied with blood. – This is important as you will discover. All tendons are interesting and clever but the Achilles particularly so and is a common site of injury seen in my clinics. So I will refer to it mostly however the info on this blog is relevant for tendon based injuries. Tendons are incredibly strong, the tendo-achilles above is able to transmit forces up to 7x your body weight but also unique amongst tendons as it just doesn’t join muscle to bone it actually spirals on itself giving it the ability to generate force itself like a coiling of a spring – hence why some humans can jump so high or so far. Its seems it was absent in one of our forbearers Australopithecus and appeared in Homo erectus about 3 million years ago . BLOOD SUPPLY: As we have already said tendons do not have a great blood supply – but they are not meant to either and problems arise when then they get one – termed hyper vascularisation & where blood supply goes nerves follow more blood more nerves and therefore possibly MORE PAIN. The Achilles has a portion of its tendon about 2-6cm above the heel that has an “avascular zone” or a bit with virtually no blood supply !! and at the tightest part of the coil. Like the wringing out of a tea towel……. Tendinopathy (tendon injuries) can develop in any tendon of the body. Most experts now use the term tendinopathy to include both inflammation and micro-tears. Indeed there may often be no sign of inflammation at all.But many still use the term tendonitis out of habit. The problem really occurs when you healing rate is less than the injury rate – known as tendon dysrepair – which is when tendinopathies can quickly deteriorate into the degenerative (cell death) phase. This is characterised by collagen (main building constituent of most of our tissues)degeneration in the tendon due to repetitive overloading. These tendinopathies therefore do not respond well to anti-inflammatory treatments and are best treated with functional rehabilitation. The best results occur with early diagnosis and intervention. For example, in explosive jumping movements, forces delivered to the patellar tendon can be seven – eight times your body weight. Cumulative microtrauma appears to exceed the tendon’s capacity to heal and remodel. Evidence is growing that it is more than just the tendon and overload that causes a tendinopathy. Diabetics, post-menopausal women and men with high central adiposity (body fat) seem to be predisposed to tendinopathies and will need to carefully watch their training loads. The Achilles is used in this example but is in principle the same with arm tendons: gripping or lifting may be the activities that need adapting or occasionally avoiding. As with most soft tissue injuries the initial treatment is RICE (or MICE) – Rest (or Modified activity actually), Ice, Compression and Elevation. In the early phase you’ll be unable to walk without a limp, so your Achilles tendon needs some active rest from weight-bearing loads. You may need to be non or partial-weight-bearing, utilise crutches, a wedged achilles walking boot or heel wedges to temporarily relieve some of the pressure on the Achilles tendon. Your physiotherapist will advise you on what they feel is best for you. Avoidance of stretching maybe advised – and may go against common sense or urge to stretch! Ice is a simple and effective modality to reduce your pain and swelling. Apply for 20-30 minutes every 2 to 4 hours during the initial phase or when you notice that your injury is warm or hot. Anti-inflammatory medication (if tolerated) and natural substances eg arnica may help reduce your pain and swelling. However, it is best to avoid anti-inflammatory drugs during the initial 48 to 72 hours when they may encourage additional bleeding. Most people can tolerate paracetamol as a pain reducing medication. Take medical advise as most therapists are unable to prescribe. As you improve strapping and supports may be worth a try and kinesiotape style supportive taping is also proving useful to both support & heal the injured soft tissue. How they actually or if they actually support is questionable – but if folk feel benefits I’ll not argue ! If you protect your injured Achilles tendon appropriately the torn tendon fibre will successfully reattach. Mature scar formation takes at least six weeks. During this time period you should be aiming to optimally remould your scar tissue to prevent a poorly formed scar that will re-tear in the future. It is important to lengthen and orientate your healing scar tissue via massage, muscle stretches, neurodynamic (nerve based mobility exercises – yes they move !) 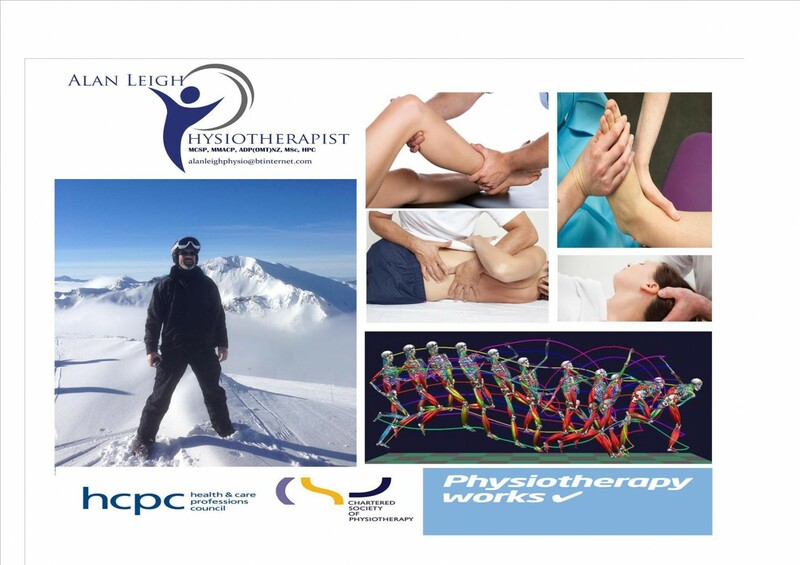 mobilisations (massage or other forms of hands on therapy) and eccentric exercises (See phase 3 video link – IMPORTANT). Signs that your have full soft tissue extensibility includes being able to walk without a limp and able to perform Achilles tendon stretches with a similar end of range stretch feeling. The video shown is for the right calf/ Achilles. In” settings” on the you tube video it can be set to better quality and slowed down. This exercise is part 3. Part one is the same except the heels are on the book, part two uses no book. The exercise is the same. 12-15 reps; 10-14 days on each part is usual. But may be less or more. It is shown with all the weight being borne on the injured leg – this the goal to be able to do this painlessly for 12-15 reps but may need to begin with some weight on both gradually moving to the single leg lower. There are many versions and progressions to this but this is a good basic. Calf muscles work in two directions. They push you up (concentric) and control you down (eccentric). Most Achilles injuries occur during the controlled lengthening (eccentric) phase. Your physiotherapist will guide you on an eccentric calf strengthening program when your injury healing allows. Calf strength and power should be gradually progressed from non-weight bear to partial and then full weight bear and resistance loaded exercises. You may also require strengthening for other leg, gluteal and lower core muscles depending on your assessment findings. Your physiotherapist will guide you. 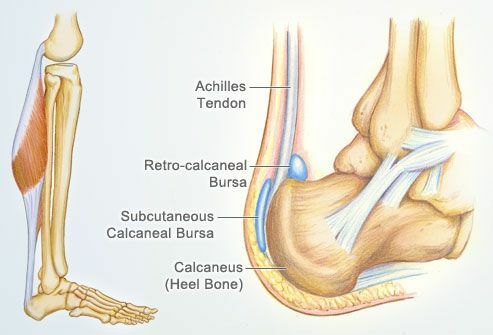 Achilles tendon injuries can occur from poor foot biomechanics eg: some types of flat foot. In order to prevent a recurrence, your foot will be assessed. In some instances you may require a foot orthotic (shoe insert) or you may be a candidate for the Active Foot Posture Stabilisation program. Most Achilles tendon injuries occur during high speed activities, which place enormous forces on your body (contractile and non-contractile). In order to prevent a recurrence as you return to sport, your physiotherapist will guide you with exercises to address these important components of rehabilitation to both prevent a recurrence and improve your sporting performance. Do gentle pain free range-of-motion exercises to prevent stiffness. How to Return to Sport OR indeed full work or life activities such as gardening ! It may take weeks or months for a tendon injury to heal. Be patient, and stick with your treatment. If you start using the injured tendon too soon, it can lead to more damage. To keep from hurting your tendon again, you may need to make some long-term changes to your activities. These should be discussed with your physiotherapist. Try changing your activities or how you do them. If exercise caused the problem, check your technique with a coach or sports physiotherapist. Perform regular eccentric style exercises. Closely monitor and record your exercise loads. Discuss your loading with your physiotherapist and coach. Always take time to warm up before and cool down / stretch after you exercise. Ensure you have an accurate diagnosis. Ensure that your rehabilitation is targeted at either the muscle injury or tendinopathy. This blog has quite a bit of detail and terms within it. I found it unavoidable. I hope things have been explained and there is something there to help you. If in doubt discuss with your GP or physio. Remember there are various views and this doesn’t mean we disagree – it is often more about use of terms.